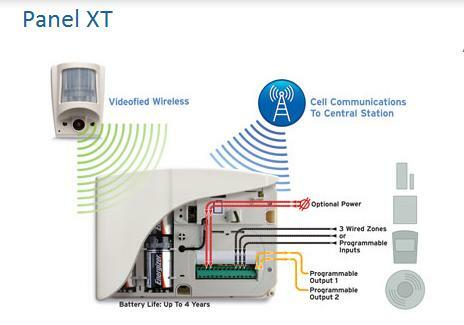 The XT GPRS control panel can be used as a standalone video security camera alarm system or can be integrated into an existing alarms system as an upgrade to the MeerCaminovative features and technology. The XT GPRS control panel has programmable inputs and outputs (outputs available Q1 2011). Programmable inputs and certain event types can be configured to capture video from a MotionViewer device using the mapping feature. The MeerCam XT control panel has two easy to access external connectors for upgrading GPRS and RF antenna connections.